(300 DPI in JPEG format). 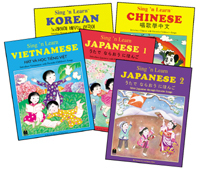 Master Communications, Inc. publishes and distributes educational media: bilingual books, multicultural DVD and TV programs, language learning DVD and multilingual books. © 1998-2007 Master Communications, Inc. All rights reserved. Master Communications, Asia for Kids, Roots & Wings are registered trademarks of Master Communications.